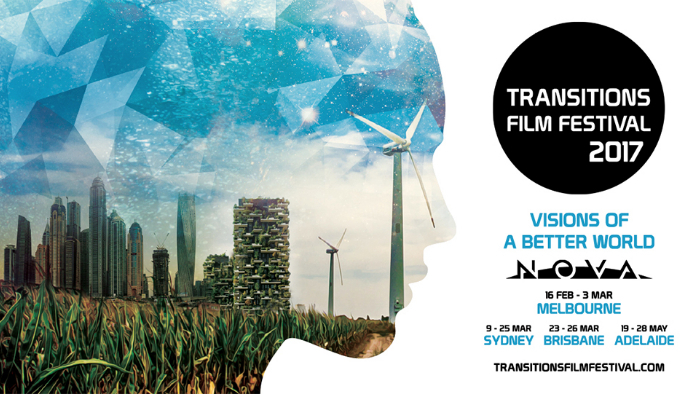 Proudly supported by the Melbourne Sustainable Society Institute, the Transitions Film Festival returns to Melbourne this February with another enthralling line-up of cutting-edge documentaries about the existential challenges, mega-trends, game-changing technologies and creative visions that are redefining what it means to be human. The festival focuses on sharing positive stories about the solutions to society's greatest challenges and showcasing the local heroes and change makers who are building a better world. Featuring a stellar line-up of powerful films and inspirational guest speakers, the Transitions Film Festival runs from the 16th of February until the 3rd of March at Cinema Nova, before touring to Sydney, Brisbane and Adelaide. The Future is now!